Since October, oil prices have seen a steep jump from circa US$55 a barrel to around US$80 today. Much of this rise is due to US sanction threats against Iran, as well as trade tensions between the US and China. While geopolitical uncertainty is generally not a good thing, there are positives for explorers, producers and suppliers who could benefit from current macro conditions. 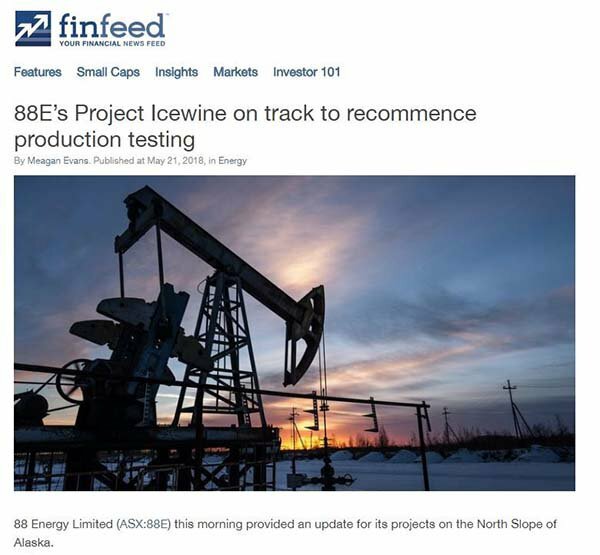 One of those beneficiaries could well be 88 Energy (AIM | ASX:88E), with the oil explorer set to recommence production testing at Icewine#2 in just days. 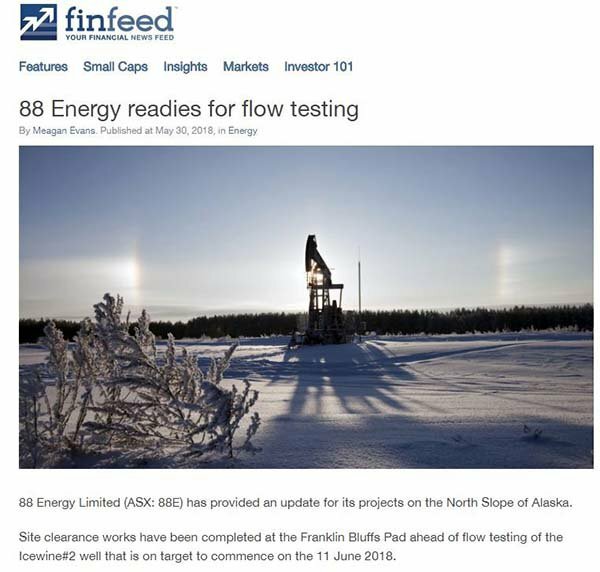 88E has a 63% working interest in 475,000 gross acres and operates on ~342,000 acres onshore the prolific North Slope of Alaska, host to the 15 billion barrel Prudhoe Bay oilfield complex, the largest conventional oil pool in North America. The date for recommencement of production at this HRZ unconventional play is June 11 – just a few days from today. In preparation, site clearance works have concluded at Franklin Buffs pad with snow and ice being cleared from the gravel pad to enable access to the Icewine#2 wellhead. Final mobilisation of test equipment is also underway. The clean-up program that will take place has been designed to enable the hydrocarbons in the reservoir to flow naturally to surface at a representative rate and should take just 14 days. Once complete the well will be flowed back to establish drawdown pressure and decline rate. There is clearly a lot going on in 88E’s part of the Alaskan landscape and we haven’t even touched on the 3D seismic data acquired over the Project Icewine acreage in March this year, or the pending interpretation of 3D seismic data acquired over the company’s recently-purchased Yukon Gold acreage — an existing oil discovery on the North Slope of Alaska close to infrastructure. We will unpack the 3D data shortly, but also worth noting before we get into the nitty gritty of where 88E is at is its cash position: not only has 88E refinanced its outstanding A$16.5 million loan on substantively similar terms and extending out to 2022, it also finalised a heavily oversubscribed placement to raise $17 million. 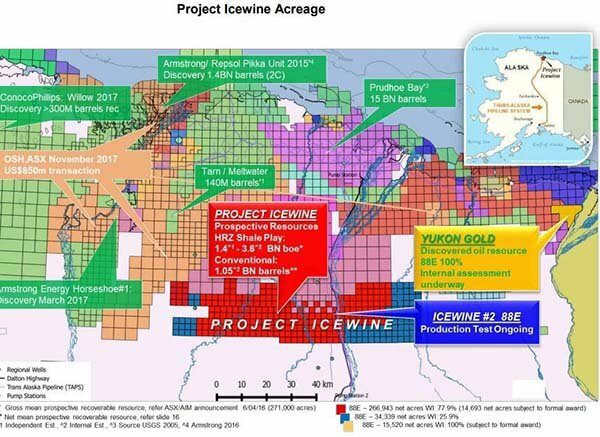 Post the placement, 88E had cash resources of US$15 million, $4 million of which will be used towards the commencement of flow testing at Icewine#2 as well as any final payments relating to the acquisition of the Icewine 3D and Yukon Gold 3D Seismic surveys. 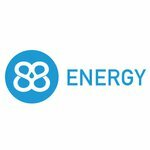 We last caught up with 88 Energy (AIM|ASX:88E) in February this year with the article: Is 88E About to Deliver a Game Changing Farm Out? In that article we hinted that 88E could have the best exploration acreage of any junior explorer on the ASX, certainly a landholding that could potentially attract a large farm-out partner, if not acquisition interest from oil majors looking to bolster their portfolios. Remember, 88E hold a prospective resource of 1.4 to 3.6 billion barrels of oil equivalent on the North Slope, over only 270,000 of its now 475,000 contiguous acres. 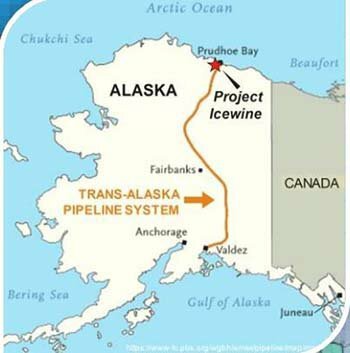 Also worth mentioning is the Trans Alaska Pipeline System (TAPS) running down the middle of the area. Then there are 88E’s conventional leads which amount to multiple stacked plays with a net mean recoverable resource of 1.05 billion barrels. Interestingly, 88E sits next door to Armstrong Energy, which made the largest onshore oil discovery in North America in 40 years of 1.4 billion barrels. Oil Search announced a US$850 million cash transaction to buy into this field late last year, prior to the recent uptick in oil prices. So you can see the big play here in front of 88E. And with production testing set to recommence at Icewine#2, it is now game on again. Just last week, 88E announced that site clearance works were underway to clear snow and ice from the Franklin Bluffs gravel pad. 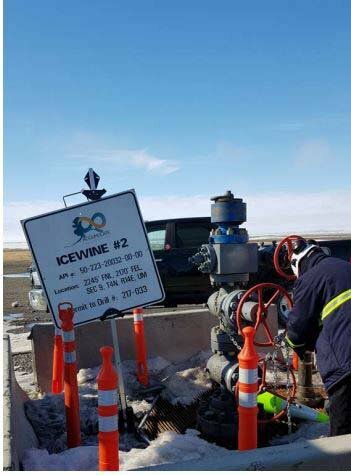 Clearance work which enables access to the Icewine#2 wellhead is now complete and pressure gauges from 4,000’ downhole were successfully retrieved. It is full steam ahead as processing and analysis of the pressure build-up data will be completed by early next week. The good news is there has been no build-up of debris in the tubing during the shut-in period. 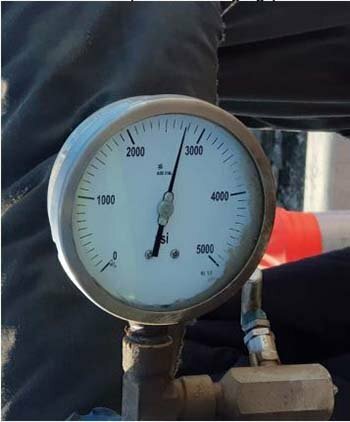 In summary, wellhead pressure was measured as between just under 3,000 psi and 3,500 psi based on a pressure reading of 5,200 psi at 4,000’. These pressure readings are positive in regards to maintenance of downhole pressure. Final preparations for mobilisation of test equipment is also underway for the flow testing scheduled to commence on 11 June. Test equipment including separators, tanks and nitrogen lift units will be mobilised to site. In short, the flow testing program is designed to utilise nitrogen lift to assist the removal of up to an additional 4000 barrels of fluid from the HRZ reservoir. The program should enable hydrocarbons in the reservoir to flow naturally to surface at a representative rate. This is expected to take 10-14 days based on modelling of the reservoir pressure and fracture conductivity. The well will then continue to be flowed back to ascertain drawdown pressure and decline rate. ...but 88E has so much more going on that also has short term catalyst potential. Like its production testing programme, 3D seismic processing is also on schedule at both Project Icewine and 88E’s Yukon Gold leases. 88E updated the market mid-May with regard to the recently acquired Seismic at Project Icewine, noting that early products from the Project Icewine 3D survey are expected to be received mid-year prior to commencement of a formal farm-out process related to the conventional prospectivity already identified over the Western Margin leases at the project. The focus of the acquisition is the Western Play Fairway, where there’s opportunity for 88E to mature and test multiple stacked conventional objectives with one well. 88E is hoping to follow Oil Search’s (ASX:OSH) lead. The $12.5 billion-capped Oil Search made an initial US$400 million move for a minority stake in three blocks on the Northern Slope owned by Armstrong Energy and GMT Exploration. An additional US$450m is expected to follow this year. Oil Search’s stake includes the Horseshoe Block which hit oil in March 2017, the biggest US onshore find estimated to hold 1.2 billion barrels. Oil Search bought in assuming the field holds 500 million barrels, expecting production to begin in 2023, with output to plateau at 80,000 to 120,000 barrels per day. 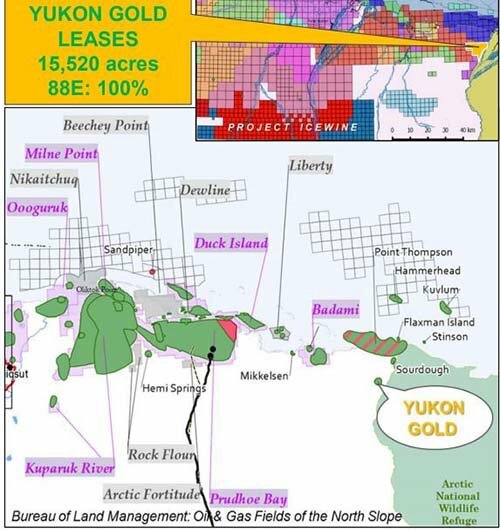 Below is 88E’s acreage in comparison, noting the recently acquired Yukon Gold as well as its neighbourhood giants including ConocoPhillips, Armstrong and the 15 billion barrel Prudhoe Bay oil field. 88E’s position and acreage here is important, particularly relating to its 3D play. The use of 3D seismic, has in fact, transformed the Brookian landscape. Since 3D seismic was incorporated there have been no dry well for four years, with over 4 billion barrels discovered. This reason alone was enough to get Oil Search interested in diversifying from its PNG assets. So when you look at the borders shared between 88E, Armstrong and OSH and take into account the 3D work about to be launched by 88E, there could be significant upside. The overall goal is to firm up drilling candidates that were earlier identified on conventional prospectivity when around 2350 line kilometres of modern and reprocessed 2D seismic data were interpreted. 88E estimate the unrisked, or conventional prospective resource potential as 1.9 billion barrels gross, or 1.05 billion barrels net to 88E, as at 31 January 2018. Results are expected in August to September, just a few months away, which will facilitate a planned farm-out prior to the year’s end on the drilling program. 88E completed the acquisition of the Yukon Gold leases in April and awarded a seismic contract to SAExploration to acquire ~96 square kilometres of 3D seismic, predominantly over these leases. The seismic data at this existing oil discovery will allow for assessment of the volumetric potential of the discovery as well as to identify any additional prospectivity over the broader lease position. The acquisition was made as a low cost strategic play to capitalise on the current momentum gaining oil price environment. This was an attractive acquisition as Yukon Gold was well-drilled by BP in 1993-1994 to a total depth of 12,800 measured depth (MD). Oil saturations indicated at multiple intervals in the Tertiary Canning Formation between 8800 to 9340 and 12,200 to 12.350. You can read about the finer details of the history in the company presentation. None of this testing would be possible without money in the bank and 88E has been shoring up its finances. Not only has it successfully completed the refinancing of a loan with Bank of America regarding an outstanding balance of US$16.5 million (A$22M), but it also successfully raised over A$17 million in a highly oversubscribed placement. 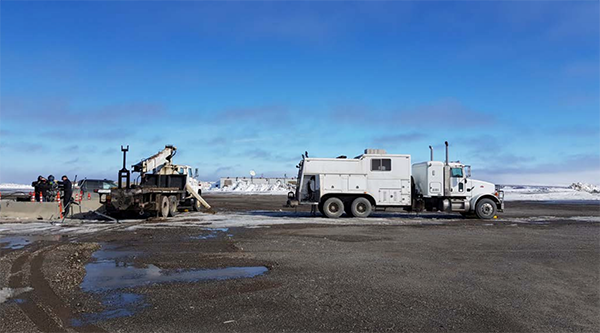 The maturity date of the loan has been extended to 30 December 2022, which managing director Dave Wall says gives 88E a comfortable time buffer whilst it waits for payment of approximately US$21 million (A$28M) in cash credits from the State of Alaska. In fact, if an Alaskan legislative session falls its way which it did before being challenged in court, 88E could pay off the majority of the loan this calendar year, which would be a boon for its exploration activities. We’ll know more about this after June 30, but for now it’s less straightforward than 88E would have hoped it would be. The company also raised A$17 million in an oversubscribed placement, with funds to go towards recommencing production testing at Icewine. Following the raising, 88E had US$15 million (A$20M) in cash resources against a planned work programme of US$4 million (A$5.3M). Process and interpret ~450km2 of 3D seismic data acquired over the Project Icewine acreage in March 2018, the final results of which are expected to be available in Q4 CY2018 and are designed to build on the highly encouraging results of the 2D seismic interpretation and allow 88E to firm up locations for further drilling activity in the first half of 2019. Process and interpret 3D seismic data which was acquired over 88E’s recently-purchased Yukon Gold acreage, an existing oil discovery on the North Slope of Alaska close to infrastructure, the results of which are expected to be available in Q4 CY2018. Fund interest payments on the company’s debt facility which, as announced on 26 March 2018, was recently refinanced with Bank of America and subsequently assigned to FCS Advisors, LLC (trading as Brevet Capital Advisors). Finance the company’s ongoing working capital requirements and provide capital for any additional growth initiatives. This level of activity is highly important given the macro factors in the current oil market. 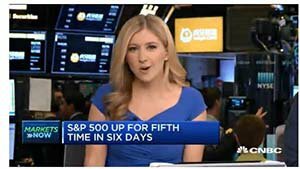 The sharp rise in oil prices, the biggest in four years, is significant for many reasons: it talks to the strength of the global economy, Donald Trump’s tax cuts, the threat of sanctions against Iran, chaos in Venezuela, the reluctance of the Bank of Japan and the European Central Bank to tighten policy meaning no immediate threat of recession. However at the same time, we should point out that commodity prices can also fluctuate down, so caution should be applied to any investment decision and not be based on historical spot prices alone. All of this leads to speculation that demand is set to exceed supply. The market is thus ripe for an aggressive player such as 88E to capitalise while the oil is hot. 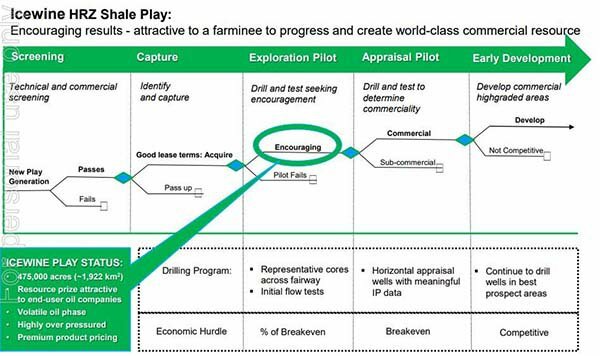 It also bodes well for 88E’s plan to find a farminee to help it progress a world class commercial resource. 88E is moving forward at pace now and once production testing begins, the news flow should come at a torrent. It would be remiss not to make mention of the late Paul Basinksi here, given his influence over 88E’s oil play. Basinki founded and was the CEO of Burgundy Xploration LLC, 88E’s Joint Venture partner in Project Icewine as well as the concept generator for the HRZ unconventional play. Basinski will be fondly remembered for his achievements and his significant role in identifying the potential of the Eagle Ford shale in Texas. He made a large contribution to the geoscience related to the HRZ play according to 88E was invaluable in leaving the JV in a strong position to advance the project to the next stage. There is a lot to look forward to and it all begins with the recommencement of production testing at Icewine#2 on June 11. We expect several milestones to come from this and we’ll be following the story every step of the way as 88E continues to meet its exploration targets. With money in the bank, an eye to potentially positive macro events and crucial work about to kick off, we could once again see keen investor interest in this dual listed A$208 million (£117M) capped stock.